There are so many ways to introduce the words used in this piece. I could say it’s an OG rap written in prison by a two-time ex-con who was executed for violating his parole. I could say it’s a piece by the poet who did more in his career outside of writing poetry than any other poet besides than the teenager who wrote “Frances.” I could say it’s the testimony of a soldier who had seen enough of war to cause PTSD many times over. There will be occasion to talk more about its author’s life later, so I’m going to ask your indulgence, and tell instead of how I first came upon this poem. on the Internet of him as of Emily Dickinson, and hers aren’t grainy half-tones! At the beginning of the 20th Century a boy was born in the Ukraine, and as a child he emigrated to New York City. Like many immigrants, he changed his name to sound more “American,” becoming Oscar Williams. His career was originally made in marketing/advertising, but he was also a poet. 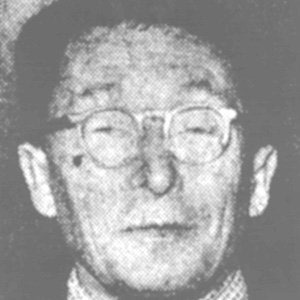 Then shortly after WWII he began to publish poetry anthologies in inexpensive editions, including very cheap paperbacks. Did he know from his marketing work that these would strike a chord in the post-war world of soldiers who became the first in their families to go to college on funds provided by the “GI Bill?” Did he suspect that the experience of the greater than “The Great War” war, and the Korean, Cold, and Vietnam wars that followed would create an audience wanting some human writing more varied than propaganda? Was the spreading middle-class of the post-war years creating a new, broader audience for poetry, like it did for hi-fi symphonies and literary novels? Who knows? 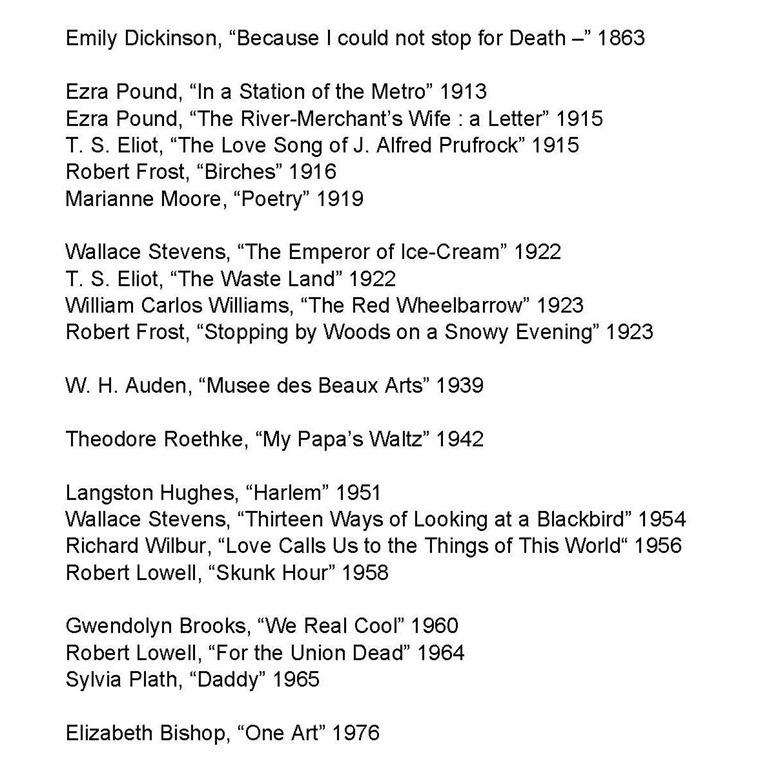 Perhaps it was only Williams’ personal passion for poetry that motived him, but his inexpensive anthologies sold in the millions, a much greater number than anyone expected. $1.45. An education one doesn’t need to take out a loan for. 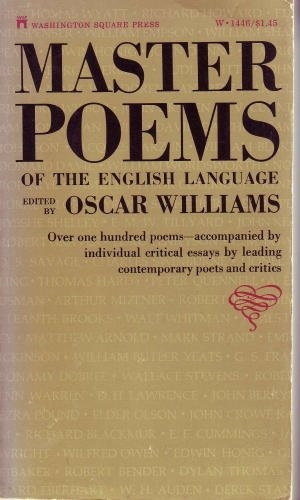 In 1968, in a college bookstore, I purchased a chunky paperback of one of these Oscar Williams’ anthologies: “Master Poems of the English Language.” About a thousand pages, over a hundred poems, each introduced by an essay on the worth of the poem by another poet or critic, cover price $1.45. I purchased it because I was writing poetry and I wanted to know more about what it could do, and how it did it, and this seemed the best value on offer at the store. And it was. I don’t want to put-down teachers I’ve had, or other reading and face-to-face examples that have instructed me in those things, but that book, taken in at that time, gave me a firm starting point in writing poetry. Written in 1618, today’s poem, “The Lie” by Sir Walter Raleigh was one of the poems in that anthology, and one of Williams’ selections that I liked the best. Unlike some other poems I’ve featured here, it’s not widely anthologized, and Raleigh himself seems to have nearly fallen from the common British pantheon over the years. In 2002 the BBC conducted a poll on the 100 greatest Britons ever, and Raleigh snuck in at 93, just behind intricate fantasist J.R.R. Tolkien and 50 places behind that other great anthologist, John Peel. When I first read “The Lie” I was struck by how modern it felt. 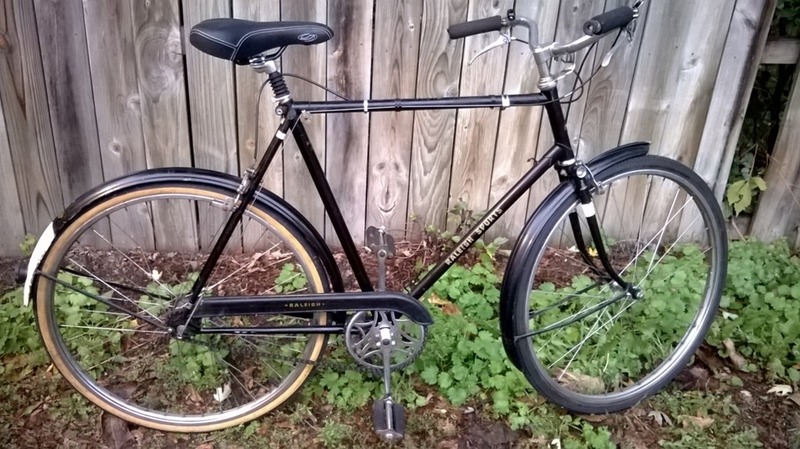 Yes, there are a few antique words and terms in there, but it’s remarkably plainspoken—and the speaking it’s plain about is the bane of hypocrisy, lack of principles, and double-dealing—all things Raleigh’s life taught him a lot about. After all, since Raleigh wrote this while in prison awaiting his execution, he did have the ultimate license to say what he really thinks. To hear what Raleigh had to say and my performance of it, click on the player below. Warning, there’s a Mini-Moog solo partway through, which is not as bad a fate as a 17th century beheading, but it will not make you forget Keith Emerson’s on “Lucky Man” either.